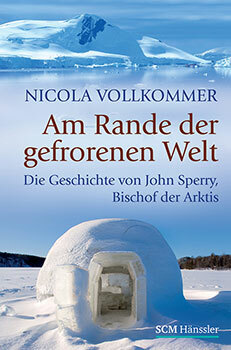 Die Geschichte von John Sperry, Bischof der Arktis. Der junge Marinesoldat John Sperry sieht einer gesicherten Zukunft entgegen. Doch er erhält einen Ruf, der ihn an die eigenen und die Grenzen der Welt bringt: Als Jäger, Schlittenführer, Pastor und später als Bischof der Arktis lebt er mit seiner Familie 19 Jahre lang unter den Inuit nördlich des Polarkreises. Er teilt ihre Not, ihren Hunger und Temperaturen bis minus 60 Grad. Und er übersetzt die Bibel in ihre Sprache, die keine Wörter für Baum, Schaf oder Acker kennt – und keines für Liebe. Die ergreifende Biografie eines Mannes, der alles zurückließ, was er kannte. Unnachahmlich lebendig beschrieben von seiner Nichte, Nicola Vollkommer. In past years, whether at home or overseas, I have met many German travellers. Not only were they well travelled, but they were very well read. On more than one occasion, when asked where I was from, upon being told, I was then bombarded with questions about the North as well as specifics about our rivers, particularly the Yellowknife River and the Coppermine River. So it is with great pleasure I welcome those of you , with an interest in all North, to a world I grew up in and my family were a big part of for so many years. In this incredible book written by my cousin Nicola Vollkommer, you will be introduced to a world of Ice and snow, a world lacking in all the basic amenities we enjoy today , the world and customs of the greatest people who inhabit this land. Yes, this book will tell of my father, Bishop John Sperry, and my mother Elizabeth Sperry, and of their commitment to God’s work and the people of the Arctic. It will also show how all that was accomplished by my parents, was because of the support, love, teaching of these great people. How , not only in the Arctic, but with any culture, one must become a part of people’s lives and customs, understanding and respectful of those same, before one can introduce new ideas without trying to change those basic ways that have served them so well for thousands of years. I have been requested to send a greeting to Melbourne Hall on the occasion of a gathering celebrating the outreach by missionaries who perhaps had their first inspiration whilst in fellowship at the Hall. I’m very happy to be included in those pioneers and I recall that it certainly was when I was a member of the Sunday school, about the year 1939, when I, and my brother Roy, listened to an evangelist by the name of Lionel Fletcher. He was conducting a Mission at the Hall, which included speaking to the Sunday school. It was in his address, which outlined the gospel and its appeal, that he invited those who were listening to mark their acceptance of Jesus as Saviour to go forward. As I recall almost everybody came out and I was one among them. There was very little official follow up but that stand and confession of faith certainly was very meaningful for me and I believe for my brother too. Not long after that occasion we at Melbourne Hall had folk interested in missionary work, one of whom was a fellow, Will Austin, who went out with the China Inland Mission. I was walking home by accident with him and I was thinking, at the tender age of fifteen, I ought to say something about missioanry work anyway. I haphazardly mentioned to Will that I had never heard of any missioanry work being done amongst Eskimos and he stopped me, put his hand on my shoulder and suggested that I made that a matter of prayer. Well, that was rather striking. And I did pray. However the war was on, and I had to serve in the Royal Navy. I did make some effort to discover whether there was in fact any work done among Eskimo people, only to find out that the only churches that seem to have done anything with missions in the Arctic were those of the CHurch of England and the Roman Cathloic church. No other churches seemed to be involved. Consequently, after the war was over, I believed that a call had been established in my heart for Missions in the Arctic. By that time I had, with the Navy, travelled far and wide, including to the Far East and to Japan and, having a larger view of need, I still was determined to pursue possibilities for missionary service. I had trained for three years at a Missionary Training College without any thought of ordination but on applying to the Bishop of the Arctic I was accepted as a postulant and found myself eventually being sent to Canada and to Coppermine on the Arctic coast to begin a ministry which was to extend about a half a century. When I arrived at Coppermine, a thousand miles north of Edmonton, Alberta, I found that the man to whom I was to offer assistance and from whom I was to learn a lot about the north, had himself been affected by a young Lionel Fletcher, under whose ministry he himself had given his life to Christ. So it seems that the two of us had been blessed by the preaching of a Baptist minister in different times of his life which resulted in, altogether, a hundred years of Arctic service, which is extraordinary. It shows that the Holy Spirit works in mysterious ways and from unlikely sources. He moves people out in various areas in order to have the Word of God extended. For me this calling involved learning a language, of course, adapting to another culture and in time becoming a translator of Scriptures, and altogether being able to serve in the Lord’s work. We have seen in the Arctic the growth of the Church of the North and the growth of an indigenous ministry so that today, we have in the Diocese of the Arctic, as it is called in Anglican circles, the leadership taken over largely by indigenous people. The bishops, two of the three, are Eskimo folk themselves who have come to Christ, and are giving excellent leadership in that capacity. So God works in wonderful ways and we thank God for it. One looks back through the years of how it all started, and it is I think salutary, that from the early days of Melbourne Hall people were encouraged to consider outreach and sharing and moving out in various areas. I’m sure it wasn’t concluded necessarily that that would involve association with other churches and even other denominations. But God has so directed. It’s meant that we have become an enlarged group of folk, embracing what the Lord Himself has embraced and have been led to avenues of service which in God’s grace has in turn led to the growth of the believing Church and to areas that have otherwise perhaps been neglected.